Scientists have warned that a strain of avian influenza could potentially overcome vaccines and infect humans. A team led by the Pirbright Institute has shown that mutant H9N2 bird flu viruses isolated from Pakistan are able to escape immune responses and adapt to infect humans. This could result in reduced vaccine efficiency and the possibility of human outbreaks, say the scientists. “H9N2 viruses cause moderate illness and death rates in domestic poultry and do not cause severe disease in humans, but the capability of an H9N2 avian influenza virus to bind to human-like receptors raises concern for potential human transmission”, said Professor Munir Iqbal, head of the avian influenza group at Pirbright. The work has been published in the journal, Emerging Infectious Diseases. In their report, the scientists said that, since their first detection in China in 1992, avian influenza A(H9N2) viruses had become enzootic to poultry in Asia and parts of Africa, where they frequently caused outbreaks. There had also been sporadic outbreaks in Europe and North America. 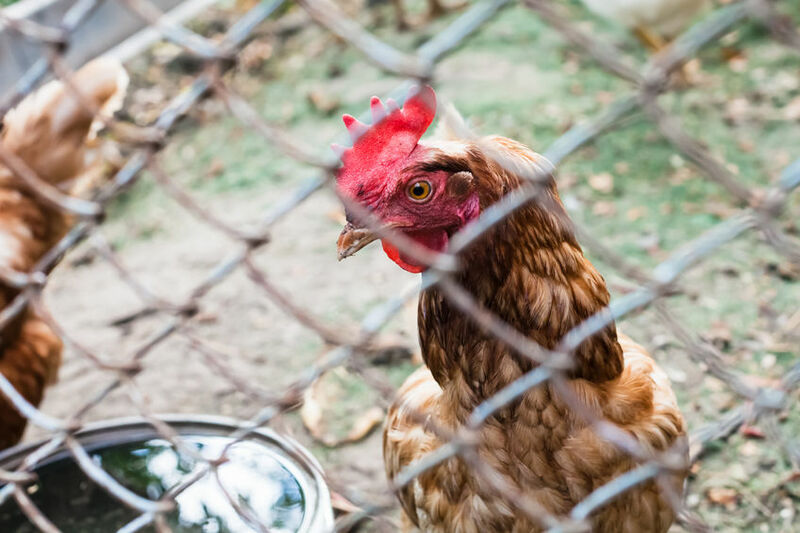 H9N2 viruses caused moderate illness and death rates in domestic poultry, leading to major economic burden to poultry industries, they said, as well as increased risk of zoonotic infection. Severe illness in humans infected with this virus was rare, they said. Data suggested that infection might be most common in those working closely with animals. However, the scientists say their research suggested that small changes to a surface protein, called haemagglutinin, in the H9N2 influenza A virus, enabled the mutated virus to enter human cells. Whilst influenza viruses that infected humans and chickens typically used different host cell receptors, Professor Iqbal said: “In this study, we demonstrated the mutant can bind to human-type cell receptors, but its preference for avian-like receptors remains." Scientists say that haemagglutinin surface protein is used by influenza viruses to enter host cells to begin replication. The team found that the mutation, which is a single amino acid substitution, could result in lowered protection for chickens that have been vaccinated against H9N2 viruses by helping to prevent the virus from being neutralised, although it said that the mutant H9N2 virus did not replicate in cell cultures as efficiently as viruses without the mutation. "This shows the fine balance influenza viruses must maintain when mutations occur that enable them to escape the immune system and infect different hosts; many mutations will result in a virus which is unable to effectively replicate," said the scientists. "However, occasionally these changes leave the virus unhindered, allowing it to spread rapidly. "The group is now working on understanding how this mutant H9N2 avian influenza A virus could generate a mutation that hits the right balance whilst retaining its ability to bind to human-like receptors. "Having this information will allow better screening of circulating avian influenza viruses for traits that may allow them to infect humans, providing early warning as to their pandemic potential." The study involved conducting influenza surveillance for poultry farms in Pakistan between 2014 and 2016. Since the late 1990s, H9N2 virus has become enzootic in Pakistan. In addition, periodic outbreaks of infection with highly pathogenic avian influenza A(H5N1) and A(H7N3) viruses have occurred, resulting, the scientists say, in "intersubtype reassortment events and new viruses, some of which have subsequently spread to become predominant virus strains in the region." The circulation of viruses with the potential to escape vaccine-induced immunity created a need for regularly updating vaccines to match circulating strains, they said.